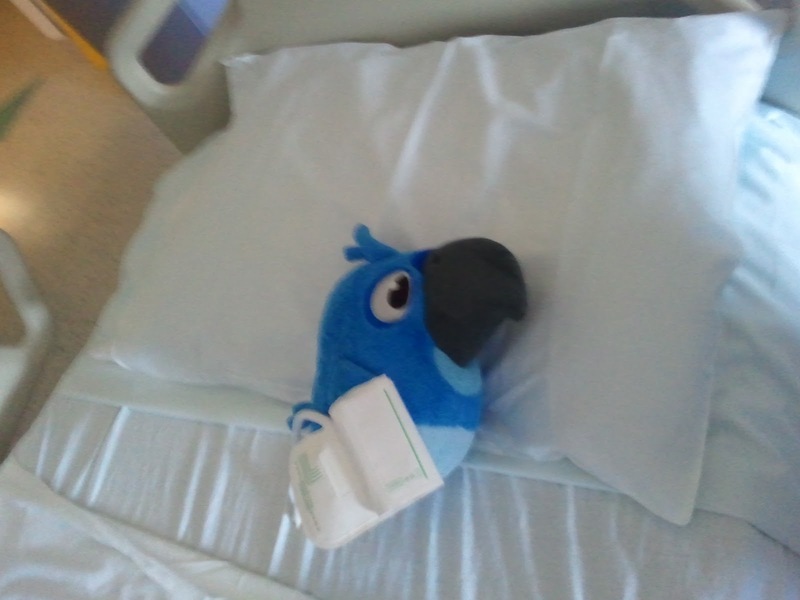 Sawyer has left the post-op area and is in a room. He's in a lot of pain and waking up slowly. The nurses are on top of his pain meds. Sawyer's potassium level is too high. His doctor is monitoring him closely. No need for alarm at this point, but it needs to come down. Typically, dialysis will help this, but the doctor was hoping to skip dialysis for one day to give Sawyer's belly an opportunity to heal and rest. If the potassium level does not come down soon, they will have to start dialysis (low volume) immediately. Glad to hear he's out! Potassium . . . Return to normal in the name of Jesus!! Thank you God for ALWAYS watching over Sawyer and for being with him even in the operating room! I thank you that you are there holding his hand and making sure "your boy" comes through things wonderfully! I thank you that you are guiding the doctors hands and their decisions as well as giving insight, wisdom and peace to Toby and Karen. We thank you that you are with them through all this, and we ask for miracles to not only start happening in Sawyers life today - but to continue! That his life would be marked by the miraculous and that he would be a walking testimony not only of the grace and healing power of God, but of Your incredible, persistent, and unconditional love you have for each and every one of us!! Bring peace into the hospital room today and especially In the hearts and minds of Toby and Karen! We say "Fear . . . You have no place in Sawyer's room or life today . . Or any day! Be gone!" We love you guys! Keep us updated. We are hee for you!